Thanksgiving—traditionally a celebration of the blessings of the year, including the harvest—is generally the begin of the “Holiday Season” in the United States. This year there is a lot to be thankful for, i.e. higher wages, more disposable income and rising levels of household wealth. This however is also expected to lead to an increase in Thanksgiving travel with projected 54.3 million Americans to travel 50 or more miles from home which is a 4.8 percent increase compared to last year’s travel. In an effort to ensure safe travel, the North Carolina State Highway will participate in the Thanksgiving I-40 Challenge, and will be placing troopers every 20 miles along the 2,555 miles long interstate connecting Bartow, California, and Wilmington, North Carolina. Pursuant to N.C.G.S. § 20-161 motorists are required to move their vehicles to the shoulder of the road following a minor, non-injury crash. The failure to do so could result in a $110 fine and court costs. Move the vehicle into a lane that is not the lane nearest the parked or standing authorized emergency vehicle or public service vehicle and continue traveling in that lane until it is safe to clear the authorized emergency vehicle. This paragraph applies only if the roadway has at least two lanes for traffic proceeding in the direction of the approaching vehicle and if the approaching vehicle may change lanes safely and without interfering with any vehicular traffic. Slow the vehicle, maintaining a safe speed for traffic conditions, and operate the vehicle at a reduced speed and be prepared to stop until completely past the authorized emergency vehicle or public service vehicle. This paragraph applies only if the roadway has only one lane for traffic proceeding in the direction of the approaching vehicle or if the approaching vehicle may not change lanes safely and without interfering with any vehicular traffic. A failure to obey by this law could result in a $500 fine. Pursuant to N.C.G.S. §20-146(b) vehicles traveling a multi-lane roadway at less than the legal maximum speed limit shall be driven in the right-hand lane then available for thru traffic, or as close as practicable to the right-hand curb or edge of the highway, except when overtaking and passing another vehicle proceeding in the same direction or when preparing for a left turn. A violation of this law is an infraction pursuant to N.C.G.S. §20-176 (a) and if convicted, North Carolina Division of Motor Vehicle would assess 2 driver’s license points pursuant to N.C.G.S. §20-16 (c), or 3 driver’s license points if the violation occurred during the operation of a commercial motor vehicle. Pursuant to N.C.G.S. §20-11(c)(6) drivers under the age of 18 may not use a mobile phone when operating a motor vehicle except in case of an emergency to call 9-1-1. Violators may have to pay a $25 fine. Pursuant to N.C.G.S. § 20-137.4A motorists are prohibited from using their mobile telephone for text messaging or electronic mail. A violation of this law may result in a $100 fine. Spend this Thanksgiving holiday with your friends and/or family, enjoy your turkey and pumpkin pie, and have a few drinks if you wish, but please, be patient in this holiday traffic and if you drink, do not drive – take a cab, Uber, or Lyft or have a designated driver. However, should you or someone you know receive a citation for a traffic violation in Southeastern North Carolina, in or around Wilmington, NC in New Hanover County, Brunswick County, or Pender County, contact Collins Law Firm at 910-793-9000 for a confidential consultation. 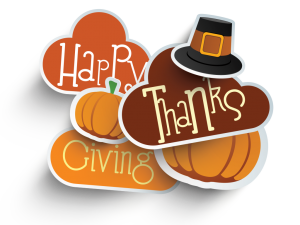 We wish you all safe travel and Happy Thanksgiving!